Web of Deceit: Black Widow is rated 3.9 out of 5 by 33. Rated 5 out of 5 by BooksandGameFan from I wish I had 10 stars to give! I'm going to keep my review brief since there will probably be few if anyone reading reviews on these older game, but for anyone who does, this game was fantastic, 10 stars!<P> I hate spiders and I still LOVED this game! I played the other game in this series and it too was fantastic. I can't remember who the game developers were but they should really make more games. There something about their games that just make you feel warm and fuzzy and really immersed in the game. They do this better than I've ever seen it done. The scenes were beautifully done the story played out throughout the game and I enjoyed their mini-games, which I usually skip! This game is far better than any of the newer games I've played in the last year! This is definitely a game I will play again! I've played quite a few older games this past week or so and I've really enjoyed them but this is by far my favorite, tied with Game of the Gods. Give it a try even if you just use a free game coupon, I really think you will enjoy it. It's really worth full price. Rated 5 out of 5 by rimao2207 from great game loved this game. loved that the characters are real and not animated. the puzzles were interesting and challenging. Rated 5 out of 5 by pcpat923 from One of the Best! Now that it's June 2014, I am giving a 2nd review of this game and have added the 5th star. Why? This is quality gaming and a dying breed. Today's games are more of just child's play--pick up sticks or ball and jacks and becoming increasingly difficult to find a game with challenge and plot and all the right stuff. 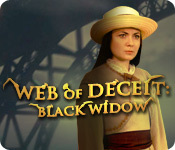 Web of Deceit was unworthy at the time of it's release to earn five stars compared to other releases during that time. The game is excellent, however, the bar has been consistently lowered over time especially with the introduction of pay to play games. We may not be finding too many of the truly great games any longer. I hope I'm wrong but I don't think so. Rated 5 out of 5 by usignuolo from Very enjoyable game - so long so as you don't mind spiders Bought this as a special offer and was very enjoyably surprised. 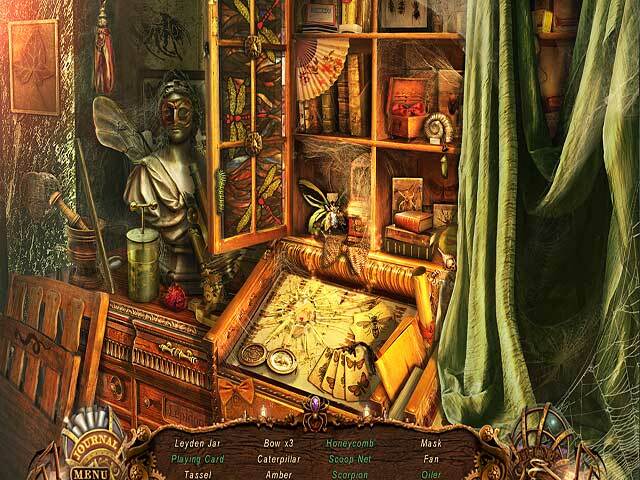 The graphics are excellent, including actual people as part of the cast of characters, there are good challenging games and plenty of hidden objects puzzles. Only minor drawback is some of the situations seem a bit contrived but that is a minor issue. Highly recommended - so long as you are not an arachanophobe. Rated 5 out of 5 by BirdLover89 from Spiders I loved this game. I am fascinated by spiders though I know the black widow is deadly. This game was addictive for me. I'd like to see more like it. Rated 5 out of 5 by Gayle312 from Love It! I love this game. The graphics are great, the ambience is great. Nice and gritty and realistic like I like it. Lots of puzzles which is my favorite. Not too easy not too hard. HOS are interactive and fairly easy. Not too many which is good. The inventory makes sense and not much backing up. Great game for the money. Quite long too. 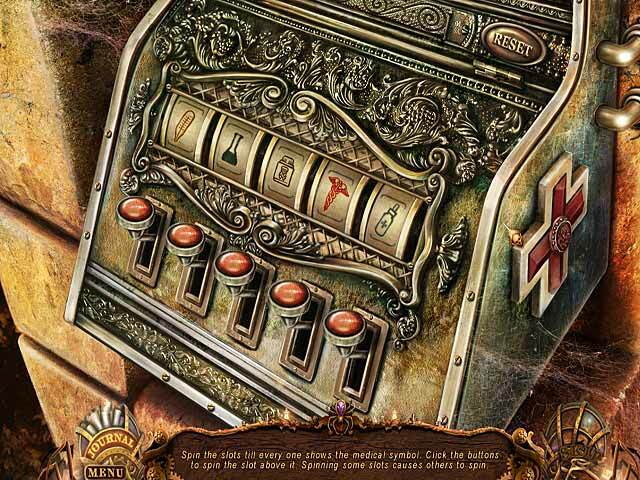 Rated 5 out of 5 by tatajojo from A web of challenges I am so pleased I have purchased this game, as most of you know, I am a bit of a "blasée" old biddy when it comes to HOS mixed with mini puzzles. I have so enjoyed that game: challenges/mini games were very good and could have been a tad more difficult in my mind for advanced level The story line was saved by the revelation of childhood upbringing The graphics were of good quality (cannot comment on the sound as I tend to play without it) The navigation was easy ... yes folks, I loved it! 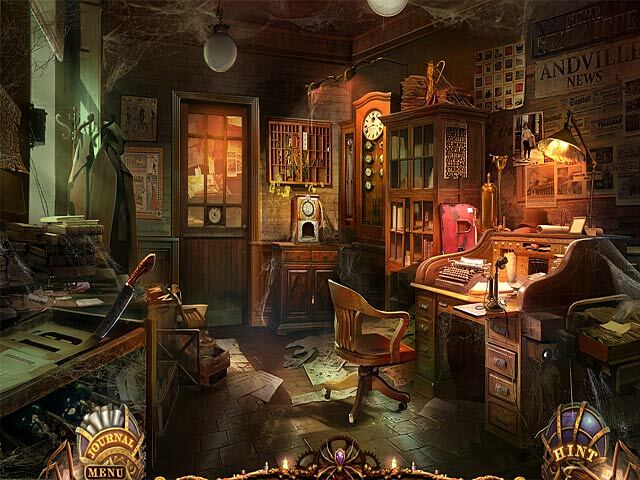 Rated 5 out of 5 by Bobrob from Web of Deceit: Black Widow Loved this game. The graphics are gorgeous and the HOS are very clear and not too cluttered. I like the interactive part of the HOS. The puzzles were interesting but I did have to skip two. The journal is informative and the added extra of replaying the video clips is good. Love the transporting map as I get very fed up with a game that has me running back and forth all over the place. The only thing that dissappointed was the ending. It felt that there was more to come but maybe you need the collectors edition to complete the story. I have a number of SE that do this and it is very annoying. Other than that it was a great game, Lots of challenges and good length. Rated 4 out of 5 by Italia47 from Jacob Stevens is a bug brain...he knows everything there is to know about insects! Web of Deceit: Black Widow SE version really isn't bad. Let me suffice it to say that there are loads of mechanical spiders that look real, and other bugs but real people are in the scenes as well. Not sure if I dig that as much but it's not a bad thing, to be honest. The graphics/artwork was rather very good--muted colors here n-there--but I have to commend the artists for their hard work and cleverness. Real actors were used in this game and though I'm not against that, but I do have ambivalent feelings about this. Not sure if the voiceovers came from the actors in the story but I found them to be quite slow in the delivery of their dialogues. Too slow, in fact. The actors were great, though. Then you have your journal that will give you lots of tips and a map is included. I did not like the map at all. Just a go-to map and the hint button acts as a navigator as well. Half the time I remembered where I needed to go and you will go around and back again. For instance, I needed an item for scene 4 and had to wait for that in scene 10. But I'm pretty used to this sort of thing. Normally I would have given this a lower score because of the disorder of the game but because many of the tasks made a lot of sense I upped it a bit. There are tons of things to do in this SE version. The storyline is good--you're a journalist who needs to catch up with the villainous, Morgana--people are getting murdered so you had better high tale it to prevent more murders. Creepy mechanical spiders that actually look real -- one giant wasp is awakened as well. You can replay the scenes in your journal if you wish. Anyway, the puzzles are okay; the tasks are numerous; the HOS were okay and very interactive but lots of junk piles too. No match-three game as an option though, which would have come in handy after a while. The puzzles were your usual puzzles and mini-games were good. I'm rating this game 3.50 starts out of 5. Perhaps a low 4 star score. I do recommend this game as I think BLAM developers are innovative and very talented.